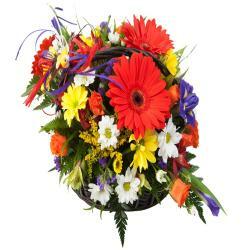 Basket of 20 Mix seasonal flowers with fillers. Prepare to be bowled over by this fabulous gift containing Twenty mixed seasonal flowers. Garden fresh handpicked flowers are used to make this stunning an arrangement of Gerberas and Roses. 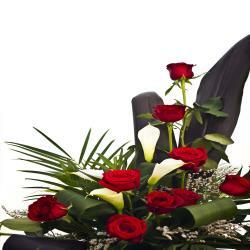 This basket arrangement that will please you immensely and its pleasing fragrance which is sure to win the heart of the receiver. 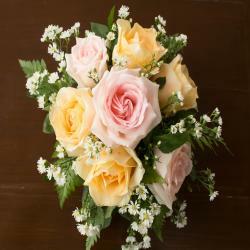 Place your order at Giftacrossindia.com and Send hearty wishes to your loved ones with a basket of vibrant flowers. 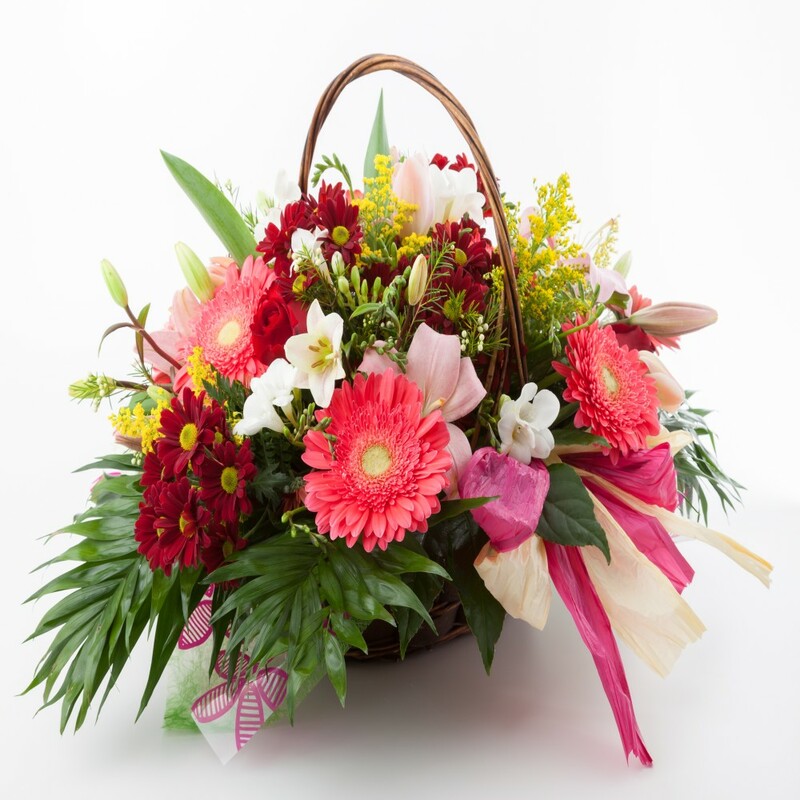 This Basket Arrangement of Mix Flowers is ideal for occasion like birthday, anniversary, wedding, friendship day, mothers day, fathers day, womens day , Diwali, Holi, Christmas and many more. 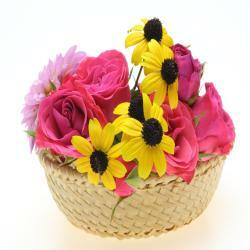 Product Details : Basket of 20 Mix seasonal flowers with fillers.